Since its inception, AirGon (a wholly owned subsidiary of the GeoCue Group) has focused on high-accuracy small unmanned aerial systems (sUAS or drone) for surface mine, industrial and construction site mapping. As a result of helping many customers piece together workflow solutions, it became obvious that a well-integrated drone 3D mapping software kit would save considerable time and frustration. 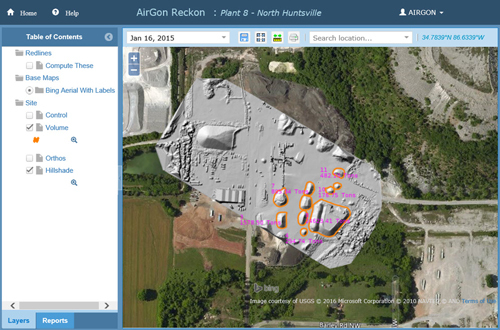 Whether you are the owner/operator of a site or a service provider to the site, AirGon Drone Mapping Suite is intended for just these applications. 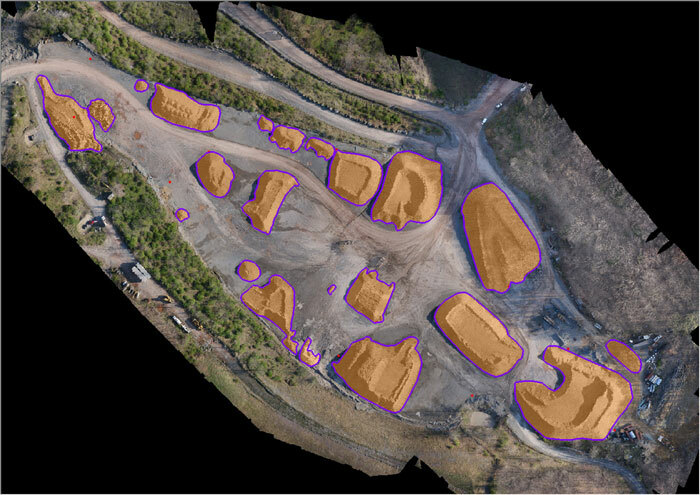 Rather than acquiring all the necessary components in a piecemeal fashion resulting in a steep learning curve, the drone 3D mapping software suite includes all of the software components necessary to create a smooth workflow solution for high accuracy data acquisition, processing, analysis and data delivery. The AirGon Drone Mapping Suite includes DJI Ground Station Pro, an iOS–hosted mission control program that does quite a nice job of flying your drones 3D mapping mission. One feature we really like about this software is that it allows automatic continuation of a project following one or more battery changes. This is a huge time saver when mapping projects exceed the typical short flight durations of the DJI Phantoms and Inspires. 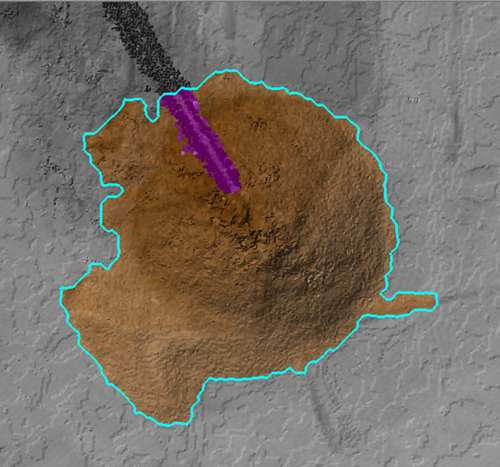 The AirGon Drone Mapping Suite includes Agisoft PhotoScan Pro, a drone mapping software application used to calibrate the camera and to process the raw drone imagery into a 3D point cloud and orthomosaic using a technique from computer vision called Structure from Motion (SfM). AirGon has been reselling, supporting and using PhotoScan for a number of years and find it to be an excellent solution when accuracy of your 3D mapping truly counts. The primary tool in the AirGon Drone Mapping Suite for accuracy assessment, quality checks, data preparation and information extraction is LP360 sUAS. 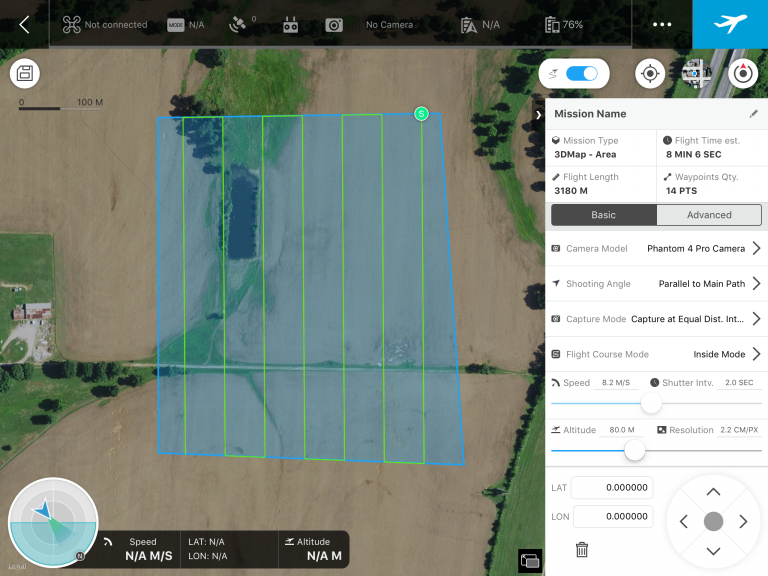 LP360 software contains analytic tools specifically for drone mapping such as performing validation of horizontal and vertical accuracy, removing vertical bias and can export an accuracy report, providing you and/or your customers with assurance that the model will meet project accuracy expectations. LP360 contains a full range of data cleaning tools, both automated and interactive to remove High and Low “noise” points commonly found around vegetation and overhead structures in SfM data. LP360 includes advanced automated tools for extracting ground surfaces and for defining stockpile toes including the exclusion of overhead structures such as conveyors. LP360 has a complete set of modeling tools that allow you to combine point clouds, survey data, bottom data and other disparate constraints into a comprehensive site model. LP360 supports comprehensive contour generation including the introduction of constraints into the topographic models (“breaklines” and “mass points”) as well as contour smoothing when using project control to tie models to a datum. LP360 also provides a rich set of tools to create ancillary products such as profiles, cross-sections, rasterized elevation models, hill shade images, exported annotated topographic contours and related products. The AirGon Drone Mapping Suite includes a trial subscription to our cloud hosted data management system, Reckon. Whether you are performing drone mapping and analysis for your own sites (“owner/operator” deployment) or performing contracted services (“service provider”), Reckon provides you with the platform you need for posting analytic results to a secure distribution site. Reckon includes Reckon Publisher, a desktop tool that allows you to easily post control, ortho images, volumes and reports by date of acquisition. 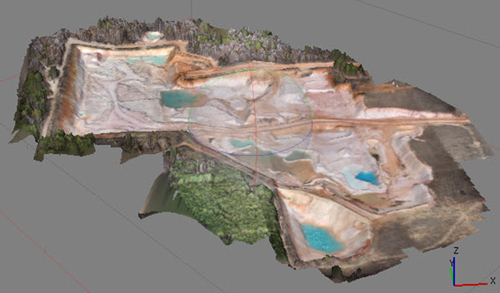 Reckon will also create hill shade images for easy visualization of 3D landscape features such as stockpiles. Reckon supports the dynamic creation of downloadable volumetric reports in both Microsoft Excel format as well as printable pdf reports. Reckon requires no viewer software, providing immediate results to anyone with internet access via PC, tablet or even smart phone devices. Unlike many other cloud hosted web solutions, Reckon is fully open. You can post results from any type of survey to your Reckon account. Finally, Reckon provides per account, per user security, allowing you to service multiple users with individual, secure portals. Perhaps the most important aspect of the AirGon Drone Mapping Suite is the training and support you will receive from AirGon. We have been in the mapping technology business (in this and predecessor companies) for the past 30 years. We have performed over 1,200 UAV site mapping projects for a who’s who collection of mining and industrial sites. Our experience (more like trial by fire!) has informed not only our product development (such as adding the ability to perform volumetrics with only mass points in LP360) but also the various techniques (tricks of the trade, if you will) for achieving the levels of accuracy needed for various project types. The suite includes introductory web training on the overall process of site mapping. 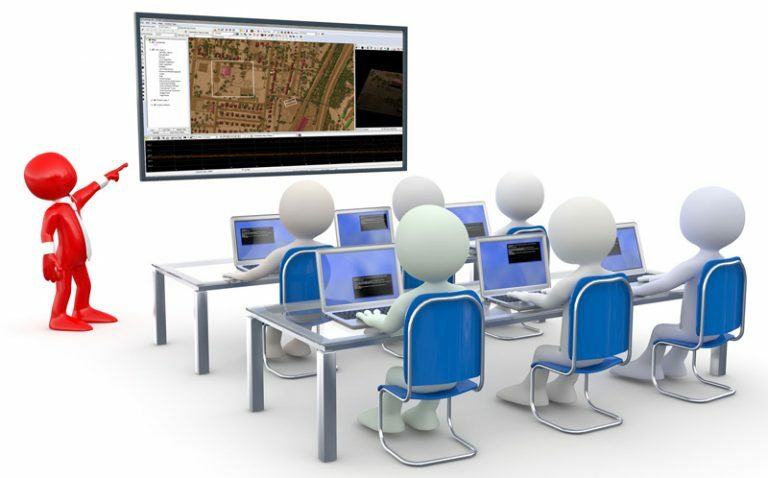 Each month you will be eligible to attend (at no additional cost) one or more free training webinars on various aspects of the mapping flow. You will also have access to our support services for specific questions and issues. If all you want to do is fly, there are aspects of data processing with which you are not comfortable or you become overloaded with work, you will be able to contract processing to our AirGon Services group. This group has extensive experience with all aspects of drone-based site mapping.